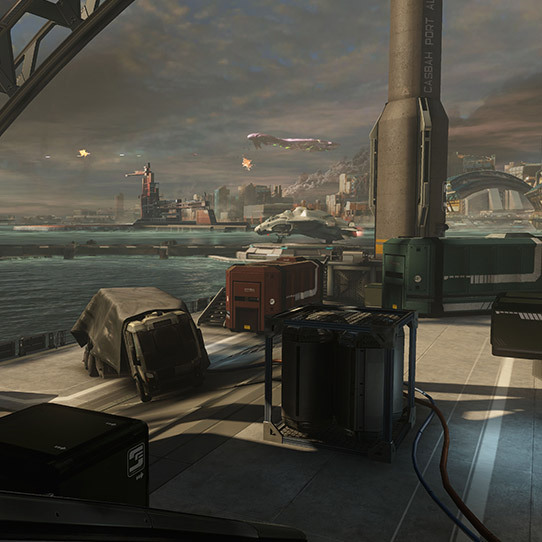 In close proximity to the military complexes and industrial might of Reach, Tribute was one of the most prominent commercial colonies in all human-occupied space. Its fall in 2552 marked not only one of the defining tragedies of the Covenant War, but also had huge economic ramifications on Earth and the surviving colonies in the post-War period. The Epsilon Eridani system contains an improbably high number of habitable planets, a fact that was seen as serendipitous to the early colonization efforts, which (at the time) faced significant challenges in marshalling political and economic support. Interest in the system’s colonization potential initially focused on Tribute and Circumstance, though it was Reach that would soon capture the attention of UEG planners. 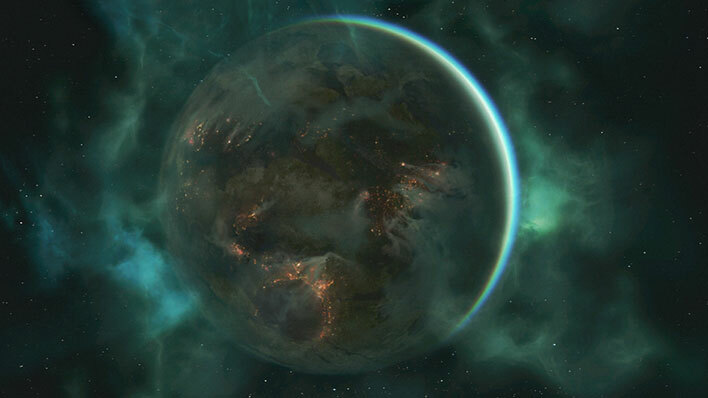 Tribute was the second planet to be colonized in the Epsilon Eridani system, though date of establishment is contested. The UEG officially records colonization as beginning on August 8, 2364 with the establishment of the initial navigation and communication satellite constellation and landing of CAA Casbah, though personnel attached to the CAA Irbid claim they landed earlier, on July 24th. 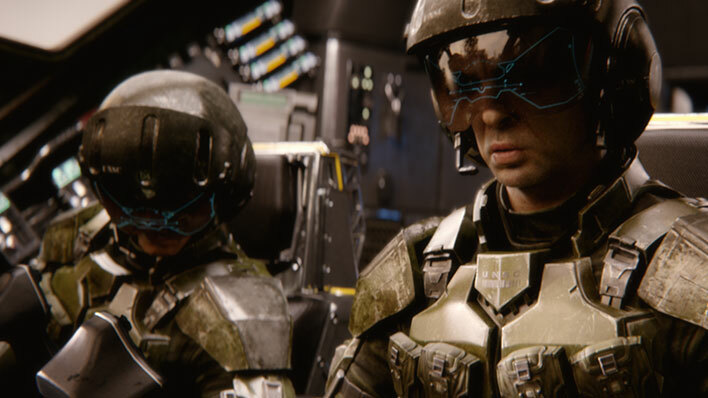 In 2524, Tribute became a focus of the long-running counterinsurgency program Operation: TREBUCHET when the UNSC learned several major Insurrection cells were hiding on the planet. Initial efforts to root out the rebels failed spectacularly, triggering a wave of bombings, assassinations, and UNSC raids in urban areas that led to massive numbers of civilian casualties. Insurrection fighters initially enjoyed tacit support from the population, though as violence escalated it quickly became clear the rebels were not the romantic freedom fighters imagined by many and their popular support waned. Periodic outbreaks of Insurrection violence continued for over a decade, though the destruction of the Outer Colonies and draconian restrictions on inter-system transport effectively cut off the Tribute rebels from any outside support. A handful of rebels remained active even to the eve of the Covenant assault on the planet, perhaps convinced that the war aganst the alien alliance was simply a plot by the UEG to shore up support in the colonies. When the Covenant launched their invasion of Reach in 2552, they simultaneously attacked all other human colonies in the Epsilon Eridani system. Despite the brave efforts of UNSC forces, the Covenant soon gained the upper hand in the fight for Tribute and began targeting population and industrial centers for plasma bombardment. 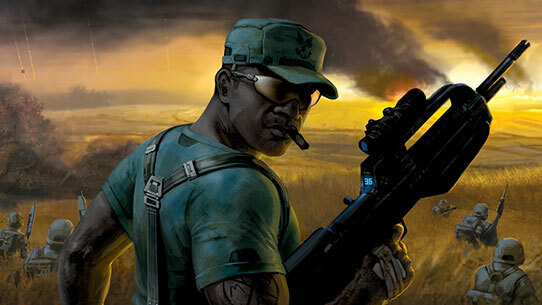 Brute forces also began to land in force, though stiff UNSC and civilian resistance left the packs bloodier than their chieftains had anticipated. However, with the Covenant in uncontested control of the skies there was little could be done to save the colony. 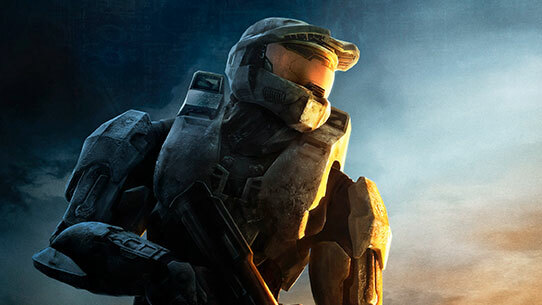 Salvation came – ironically – from the Covenant’s High Prophets of Truth and Regret, who both began to consolidate their loyal forces once the first holy ring – Alpha Halo – was discovered. The few remaining ships at Tribute listlessly targeted human forces when able, but otherwise simply waited for new orders and began moving orbital wreckage in preparation for a renewed campaign of planetary cleansing. 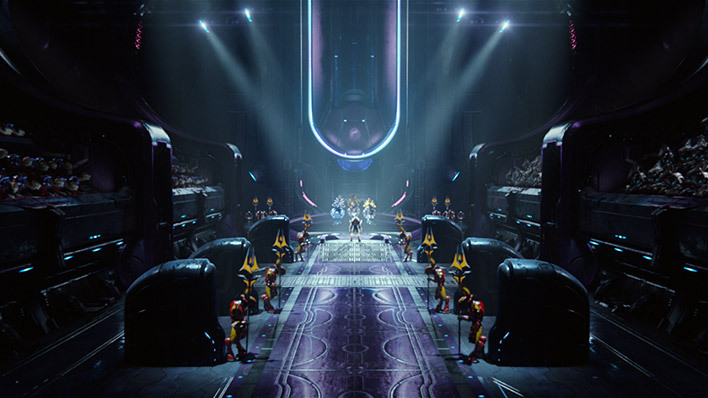 The Jiralhanae and Sangheili vessels then fought each other during the Great Schism, tearing each other from skies while the human survivors could only look on in confusion. 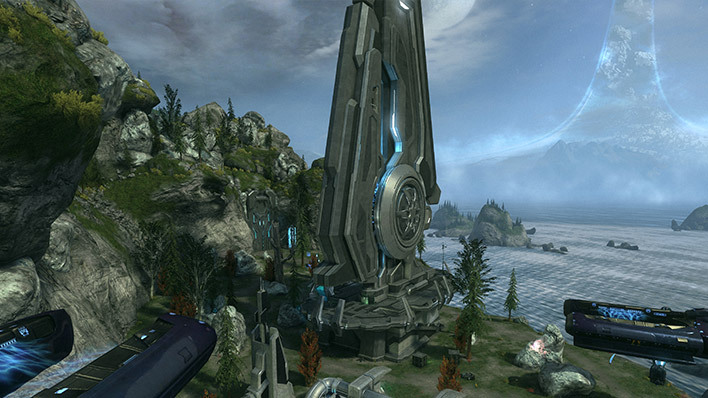 Tribute was not razed or completely glassed during the Covenant siege, but all of its major cities were levelled and few industrial sites survived unscathed. Over half of the population was dead, and Earth could scarcely afford to spare any immediate assistance with Sol’s colonies in ruins. Nevertheless, the colony survived, and enough infrastructure remained intact that survivors began rebuilding the ecology and economy. During one of the last battles in the capital city of Casbah, a single Spartan fireteam held off a brutal Covenant assault to provide cover for escaping civilian transports. The evacuation site has since been immortalized as a War Games simulation used for training a new generation of Spartan warriors.